We build house and trailer pads with the highest quality dirt in the Lafayette area for a reasonable cost. Most dirt foundations can be completed in 1 – 2 days time. We will degrass the area of the pad (strip all grass and loose topsoil material) and haul in and compact A-4 fill dirt to provide your new home a rock solid foundation. Call today for free estimates on pads or any other services or material deliveries you may be interested in. read below for a little more information on pads and their design. In both cities and the countryside, selection of sites with the best soil is an important engineering decision in the building process. Whether you live in a house, condo, or apartment, your home is connected to the soil. Your school, the building where you work, the stores you shop in—all of them are built on soil, and often with it. Building foundations need to be on stable and strong soils. Soils range in strength. Some soils are able to support a skyscraper, while other soils are not able to support the weight of a human. If the soil under a building is not stable, the foundation of the building could crack, sink, or worse–the building could fall! The strength and stability of soil depend on its physical properties. Soil with good structure is more stable. Clay textures are often more stable than sand textures because they have better structure. However, a mix of particle sizes (and pore sizes) is best for engineering (just as it is best for growing crops). It is also important that soil is stable through wetting and drying cycles, so that expanding soil does not crack roads or foundations. Some clay minerals, from a family called smectite, are more likely to shrink and expand during wetting and drying cycles than minerals from other families, such as kaolinite. Good soil should also have the ability to capture precipitation, so that runoff and erosion do not damage structures. Finally, good soils for infrastructure have balanced chemistry so no building material corrosion occurs. – the potential for water runoff, drainage, or storage. Soil maps are also available for public access from the USDA Natural Resource Conservation Service at the Web Soil Survey site. Few building sites start with ideal conditions. Good engineering designs incorporate corrective measures and management practices. For example, drainage can be added or land surfaces reshaped to direct water away from the site. It is important to know what soil properties exist to avoid future problems. 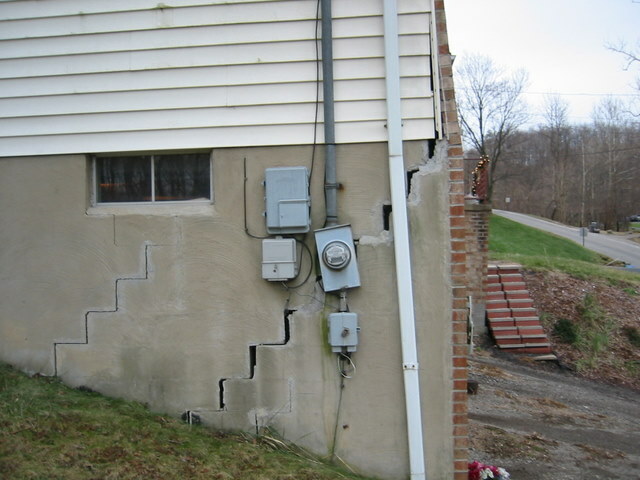 There are some well-known examples of structural failures that resulted from a lack of soil knowledge. One of the most famous is the Leaning Tower of Pisa. The land underneath seemed stable during the dry season when building began, but the soil became unstable during the wet season and sank under the weight of the building. Even worse, it sank unevenly, resulting in a leaning tower. In addition to managing drainage, compacting and stabilizing the soil before construction may have reduced settling problems. -Answered by: Larry F. Baldwin, CPSS / NCLSS, Land Management Group, Inc. This entry was posted in 337-342-5600, abbeville, broussard, Bulk Material, calculator, Call Now, Clay, Compactable Dirt, Contractors, Delivery, Dirt, dirt hauling, dump truck, duson, Fill Dirt, Fill Dirt Delivered, Gravel, hauling, Home Owners, la, Lafayette, Limestone, maurice, milton, new iberia, Overburden, rayne, Same Day, Sand, sand and gravel, Sandy Fill, scott, Select Dirt, Stone. Delivery to Builders, Topsoil, youngsville and tagged (337) 342-5600, broussard, cheap dirt, clay dirt, Commercial Account Discounts, Contractors, Delivery, dirt hauling, dirt work, Dump Truck For Hire, dump truck rent, Fill Dirt Delivered, gravel, hauling, Home Owners, Home Owners. Quality Material, Lafayette Louisiana., Low Price, Lowest Prices, packing dirt, pad dirt, Quality Material, sand, sand and gravel, Sandy Fill, scott, select dirt, Stone, Topsoil, truck, youngsville. Bookmark the permalink.